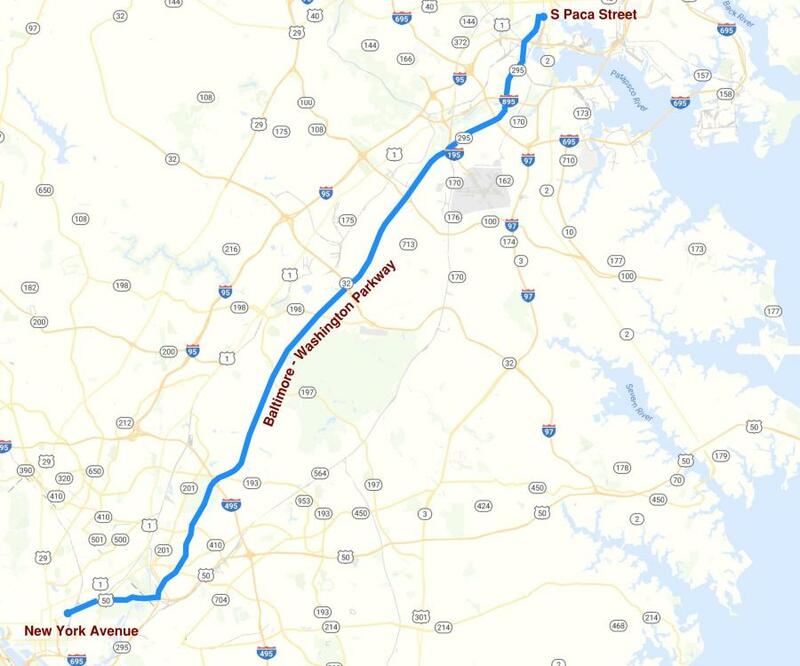 The two tunnels for the loop will run parallel to the Baltimore-Washington Parkway, from Baltimore's S. Paca Street to somewhere beneath New York Avenue in Washington D.C.
Elon Musk's Boring Company recently revealed a map outlining its proposed underground loop between Baltimore and Washington D.C. The system, which would operate on two loops deep underground would deliver passengers to downtown stops in both cities in a 15-minute trip, The Baltimore Sun reported. When completed, this project will be the first step toward Musk's goal of connecting New York and Washington in a ride lasting less than 30 minutes. Passengers travelling via the loop will move at speeds between 125 to 150 mph, according to The Boring Company's website. any other possible future stations. The tunnel itself will be 30 ft. deep “in order to ensure that construction is imperceptible at the surface,” The Boring Company said. The only way to know that construction is happening would be to see construction trucks going to and from the launch pits; otherwise activity would be undetectable and no underground vibrations would be felt. Construction on the tunnels is expected to take between 12 and 20 months. BaltimoreBoring MachinesElon MuskHyperloopinfrastructureThe Boring CompanytransportationWashington D.C.
Baltimore Boring Machines Elon Musk Hyperloop infrastructure The Boring Company transportation Washington D.C.